Hello and Welcome back to the Friday Fiction Feature! Series editor Tabatha here to add a little mystery to your life. As you may have noticed (from my two posts going on about the subject at length…) I am on Spring Break! And no, I’m not just bragging (this time) I bring that up because I have discovered one of the best perks of Spring Break. I love to read books that are not assigned for class, whose publication information I never have to check, and that keep me guessing; that is to say, I love mystery stories. So, this week, I thought I would share some intriguing mystery options both new releases hot off the presses and old favorites, biding their time on the library shelves. London, 1890. Four vicious murderers have escaped from prison, part of a plan gone terribly wrong, and now it is up to Walter Day, Nevil Hammersmith, and the rest of Scotland Yard’s Murder Squad to hunt down the convicts before the men can resume their bloody spree. But they might already be too late. The killers have retribution in mind, and one of them is heading straight toward a member of the Murder Squad, and his family. And that isn’t even the worst of it. During the escape, the killers have stumbled upon the location of another notorious murderer, one thought gone for good but now prepared to join forces with them. Jack the Ripper is loose in London once more. psychics, ghosts, murderers and the thrilling world of accounting! Thirty-something, down-on-her-luck accountant Max Starr has the unfortunate gift of being psychic, a newly-discovered wrinkle in her already messed-up life. Her husband, Cameron, is dead, killed in a botched 7-11 robbery two years ago. She’s cut herself off from friends, moved out of her San Francisco home in favor of a studio apartment, and dumped her flourishing career as a CPA to do temp work. And now Max has developed an annoying penchant for attracting the spirits of murdered women. Okay, they possess her. 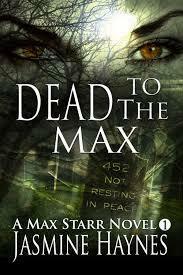 And to exorcise them, Max must unmask their killers. But how?! By stepping into the void their deaths created, taking their jobs, befriending the loved ones they left behind. Max goes wherever she has to go and does whatever she has to do, with a lot of help from the ghost of her late husband Cameron and hunky and very enticing Detective Witt Long. Max steps into the shoes of a murdered accountant and starts to learn that even supposedly boring accountants can have secret lives and secret desires. Max just has to hope the secrets she uncovers don’t get her killed, too. In The Invisible Code, Christopher Fowler continues our trend of supernatural mystery when London’s craftiest and boldest detectives, Arthur Bryant and John May, are back in this deviously twisting mystery of black magic, madness, and secrets hidden in plain sight. 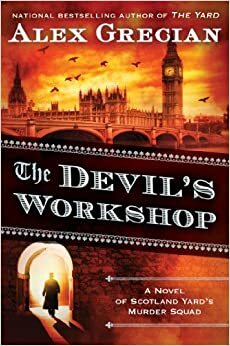 When a young woman is found dead in the pews of St. Bride’s Church—alone and showing no apparent signs of trauma—Arthur Bryant assumes this case will go to the Peculiar Crimes Unit, an eccentric team tasked with solving London’s most puzzling murders. Yet the city police take over the investigation, and the PCU is given an even more baffling and bewitching assignment. Called into headquarters by Oskar Kasavian, the head of Home Office security, Bryant and May are shocked to hear that their longtime adversary now desperately needs their help. Oskar’s wife, Sabira, has been acting strangely for weeks—succumbing to violent mood swings, claiming an evil presence is bringing her harm—and Oskar wants the PCU to find out why. 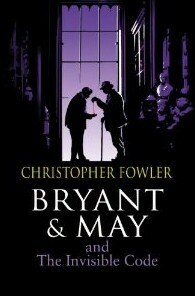 And if there’s any duo that can deduce the method behind her madness, it’s the indomitable Bryant and May. When a second bizarre death reveals a surprising link between the two women’s cases, Bryant and May set off on a trail of clues from the notorious Bedlam hospital to historic Bletchley Park. And as they are drawn into a world of encrypted codes and symbols, concealed rooms and high-society clubs, they must work quickly to catch a killer who lurks even closer than they think. Now I know you will all be reading your way out of a pile of new releases as soon as you finish reading each week’s Fiction Feature, but as you wade through those electronic pages, don’t forget that the older editions can surprise you just as much. 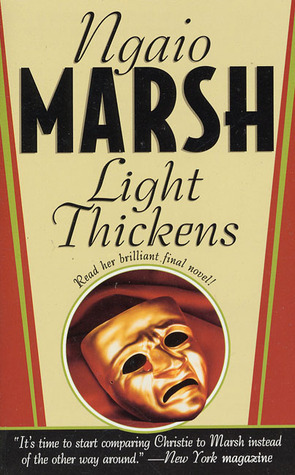 With magic made of styrofoam props and fog machines surrounding the real mystery, Ngaio Marsh brings us Light Thickens. Four murders. Three witches. A fiendish lady. A homicidal husband. A ghost. No wonder “Macbeth “is considered such bad luck by theatre people that they won’t mention its name out loud. But the new London production of “the Scottish play” promises to be a smash until gruesome pranks begin plaguing rehearsals. And when the last act ends in real-life tragedy, Chief Superintendent Alleyn takes center stage-uncovering a heartbreaking secret, murderous jealousy, and a dark, desperate reason for “murder for foul..”. 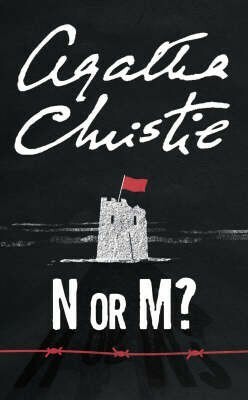 Last and certainly not least, I can’t help but bring in one of my favorite authors, and the woman responsible for most of my lost hours this Spring Break: Dame Agatha Christie. In N or M? Agatha Christie proves that those middle-aged “Old fogies” aren’t quite down for the count. In the midst of World War II, turned down by every branch of the military and medical assistance, told they are too old to help in the war effort and would do better to stay at home knitting or taking over a nice quiet filing job, former spies Tuppence and Tommy Beresford come out of retirement to change the world in one more daring feat of espionage. Though those young people in charge know better, Tommy Beresford (far too old for real war work, having reached the staggering age of 46) is called in for the quietest espionage job the British government can find: take a room at a quiet hotel and look for German spies. Not one to be left behind, Tuppence quickly follows her husband to the seaside and together they hunt for Hitler’s most trusted agents, code-named N and M who just might be hiding in plain sight. Filled with kidnapping, subterfuge, danger, murder, and flirting this whodunnit will have you guessing from the first introduction to the adorable toddler Betty to the final reveal of the murderous spy (or spies) as you try to outwit N or M.
With that final review, I shall bid you all good day- I hope you enjoy this week’s mysterious selection, I will be spending my afternoon catching up with a certain Miss Marple.